All the legal documents related to court proceedings, orders and judgments of the Kings County Courts are recorded and considered as one of the major component of public records in all counties and states of the United States of America. To begin your Kings County Court Records enter a first and last name in the form above. Criminal Court Records – Official records held by the court regarding various crimes, offenses, misdemeanors and felonies. Civil Court Records – Official records related to various disputes between individuals, such as domestic violence, abuse, housing, matrimonial, and all other kinds of civil lawsuits that are not sealed by the court. Why do People Need Access to Court Records? To find out personal details of a person, such as their complete name, age and date of birth. A couple may need to access court records while filing for a marriage license if they need to show proof that it is their 1st marriage or if they have a legitimate divorce decree (in case one or both of them are divorced). For background checks by potential employers. For gaining an access to criminal records of a person. Criminal records may be needed by the government, law enforcement agencies or employers (particularly if you are applying for a government job, military or other sensitive departments). If a person was given ownership of a disputed property by the court, he/she may need the record of the case to prove the ownership. How to Get Court Records in King County? While details regarding most court cases can now be accessed online through official and third party websites, a majority of the cases that were filed and heard before 1999 are available in paper format only. If you want to access an old record, write a formal application to the court with as much details of the case as you can provide, such as the case number, the date(s) of hearing, etc. I am be happy to assist you with looking up Kings County Court Records. 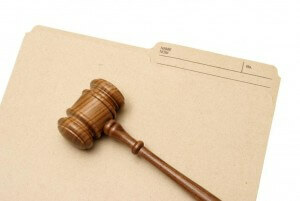 It sounds like you are interested in a lien record, these are typically issued by the courts. If you can let me know what your first and last name and middle initial I will be happy to lookup your Lien Record. I have also included some helpful links below. my name is yvonne mccain I’m trying to find out more information about my brother dewayne k holmes he filed a lawsuit against Corcoran state prison for a fight that broke out approx in 2012 he suppose to have won the law suit he passed away 9-20-16 I’m trying to find out more about the law suit and if he won n would i be able to get the $ if he did win. i am hard of hearing if you can leave me message and I’ll call you back. I understand your concerns however our services won’t be able to access the specifics of a lawsuit. I would recommend contacting a lawyer or private investigator to locate this information for you. I have included a link below for you to contact a lawyer online to further assist you. We can certainly help you locate the lien record on your property however in order to release the property lien you will have to contact the lien holder. Do you know if this is a tax lien, personal lien, bank lien, etc.. ? If you are uncertain then you should start with the Kings county court clerk for more information. I have included a link to their website below.